The hosts were left horrified by his deranged and offensive rant. The president’s most unhinged ally lit up the airwaves with his most absurd comments to date. Take Action: Add your name to demand McConnell allow a vote on the bipartisan bill to stop Trump from firing Special Counsel Mueller! The man Trump chose to help him spew his racist propaganda was outed as a professional hatemonger. Take Action: Sign the petition to tell Lord & Taylor Department Stores: Stop selling Ivanka Trump products. The former mayor’s television meltdown took a hard turn into bigoted conspiracy theories. Saudi Arabia and the UAE have been sieging Yemen with airstrikes and intentionally causing starvation for years — a Yemeni child under five dies every ten minutes. And the US has provided the weapons and air-strike-support to Saudi Arabia, despite never being authorized by Congress or debated by the public. More than 22 million citizens now urgently depend on international aid to survive, thanks to US military support. But investigative journalism has recently made clear the US isn’t *just* selling weapons to Saudi Arabia and the UAE. Now, Sen. Elizabeth Warren (D-MA) is publicly calling for answers regarding the US military’s active involvement in strategy and oversight, despite their previous denials. This past spring, Senators Bernie Sanders (I-VT), Mike Lee (R-UT), and Chris Murphy (D-CT) introduced a resolution to withdraw our unauthorized military support. But most Senate Republicans, joined by ten Democrats, voted to shove it under the rug without debate. Check your Senator’s voting record. A YEA vote was the vote to continue the war in Yemen without discussion. 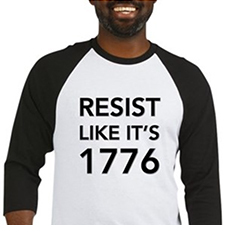 Call or email your Senators. Tell the NAY’s thank you – and urge them to push again for the resolution, and require answers from our military on their involvement. Ask the YEA’s why they’re comfortable letting 1.8 million children under 5 remain on the brink of starvation, and allowing the U.S. military to lie to the American public. Our Constitution gives only Congress the power to declare war. And yet, without even seeking approval, the US continues to participate in a war that has left more than 10,000 civilians dead, 40,000 wounded, fifteen million without access to clean water, and nearly 60 percent of the population with no reliable access to food. Our participation in this crisis is unconscionable and inhumane, and it needs to stop now. 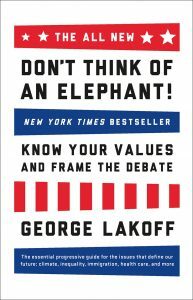 PS — Please don’t forget to sign the petition to revoke the president’s ability to wage war without Congressional approval, and check out the brilliant “Don’t Think of an Elephant” by George Lakoff — a quick read that contains the ultimate keys for Democrats to win elections — and arguments.